We are kicking off the 2014 Adult Forum season with a two-part series on Pope Francis, led by Fr. Don Sutton, a fellow Jesuit. 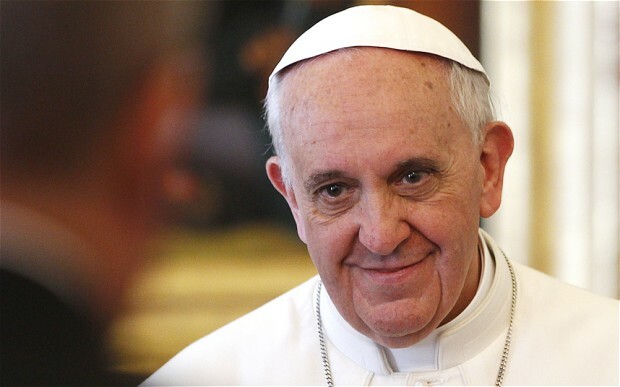 In the first seven months since his installment, Pope Francis has made headlines as he continues to shake up the establishment and challenge ALL of us to reconsider the focus of our faith and lives. Does the word “transformational” come to mind? Where can Catholics and Lutherans come together to discuss the Pope and his influence on the world? Uh, not many other places than St. Paul. Please join us on January 5 and 12 (either or both) to celebrate our very special community of faith, to learn, and to laugh. For questions about this Adult Forum, or about any of our educational opportunities, please contact Mary Fulton.